What is a Prayer Summit? This year, we have the blessing of spending time seeking the Face of God in the beauty of His nature surrounding us in northern Kawanishi City. We look forward to enjoying this wonderful location. Based on the those who come, we are thinking of having separate sessions for men and women. And although the main sessions will be in Japanese, we might also have a separate time for speakers of English and Japanese. There is a place for you and those who come with you! How Much? 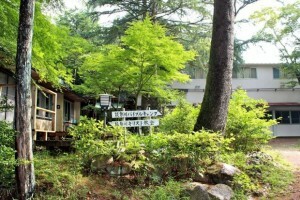 Registration 5,000 yen, Lodging/Meals 12,000 yen. [We will eat out for supper each of the 3 nights–to be paid for individually.] Registration Deadline: May 9, Thursday. If two or more pay from the same account, the registration fee is only 3,000 yen each. So, bring your wife or husband OR a senior pastor and an assistant pastor, cooperative pastor, or evangelist. How Do I Get There? Those needing a ride (or willing to help drive) should get in touch with us. We can also send you a map so you can come by train or car. Let us know any specific needs. Fill out and submit the form below. Prayer Summits Japan | Powered by Mantra & WordPress.